The British Shorthair coat, which is short and dense, comes in all colours of the rainbow, although you'll see a preponderance of blue, so much so that the cat was often called the "British Blue" in the early days. The blue British Shorthair can be differentiated from the Russian Blue by its gold or copper eyes. The British Shorthair is loved for its "Cheshire Cat" smile, which is not unexpected, in that Lewis Carroll's Cheshire Cat was originally a tabby British Shorthair. The British Shorthairs� origins are those of the native working cats, the street and yard cats of Britain. The early British Shorthair and French Charteux were of similar type; many breeders think they were originally the same cat. Today, breeders have taken great care to produce two distinct breeds, to be judged separately. Ancestors of the British Shorthairs survived years of superstition and persecution in past centuries, when thousands of cats were killed. It is a marvel that this wonderful, sweet-tempered cat is still around for the whole world to enjoy. Many shorthairs were shown at the Crystal Palace in 1895. They held the limelight for about a year at the show, until the Persian took over. British Shorthairs were to remain out of favour until the 1930s when a small number of dedicated breeders took and interest in them. Mr. Harrison Weir, of early cat fancy fame wrote, � The ordinary garden cat has survived every kind of hardship and persecution. That he exists at all is a tribute to his strength and character and endurance�. British Shorthairs are very independent, yet extremely affectionate. 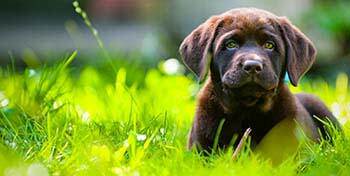 They are very alert and quizzical and enjoy following you around the house to make sure you do things right. The males, in particular, are extremely people oriented, usually downright mushy. 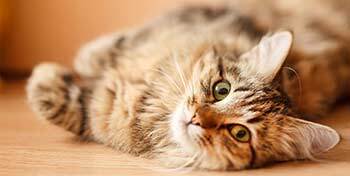 This is an extremely quiet, little talking, no-nonsense, �I can take everything in stride� breed of cat. 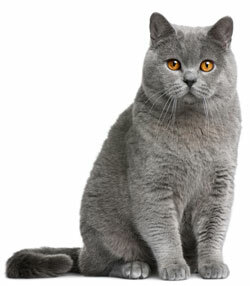 British Shorthairs are easy to groom, as their fur does not tangle and should be combed very lightly. 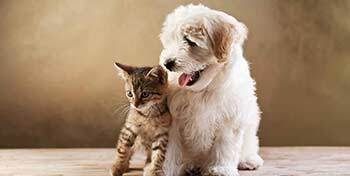 They make ideal pets for less active people as well as the busy households.